Large Breed Red Meat Proper is based on lamb meal with a low glycemic base of pea and beans. 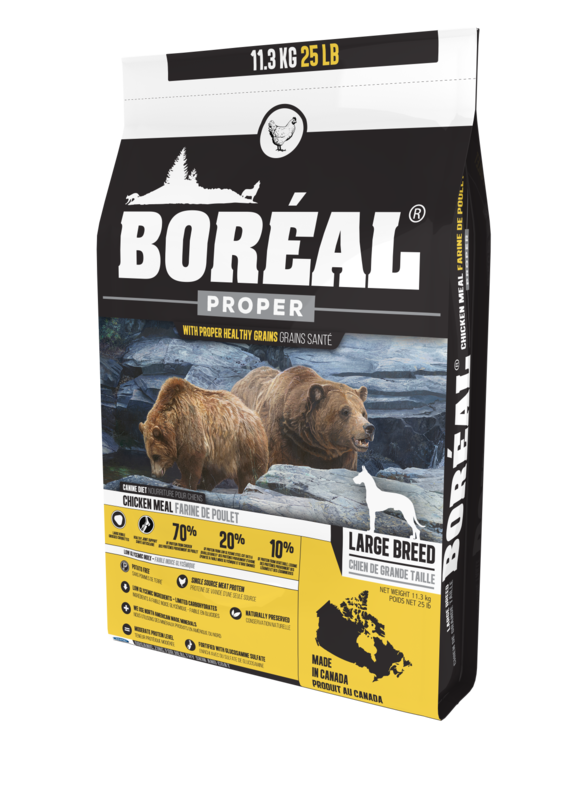 Our large breed formulas all keep to a moderate protein level and have added glucosamine, Omega-6 and Availa®Pet minerals to support the dietary needs of large breed dogs. We believe that pet foods should avoid starchy ingredients that might lead to weight gain and obesity. An alternative to a grain free diet is to pick a dog food that avoids the high sugar grains such as corn or wheat. There are particular grains such as steel cut oats that are very good for your dog and have many beneficial properties. 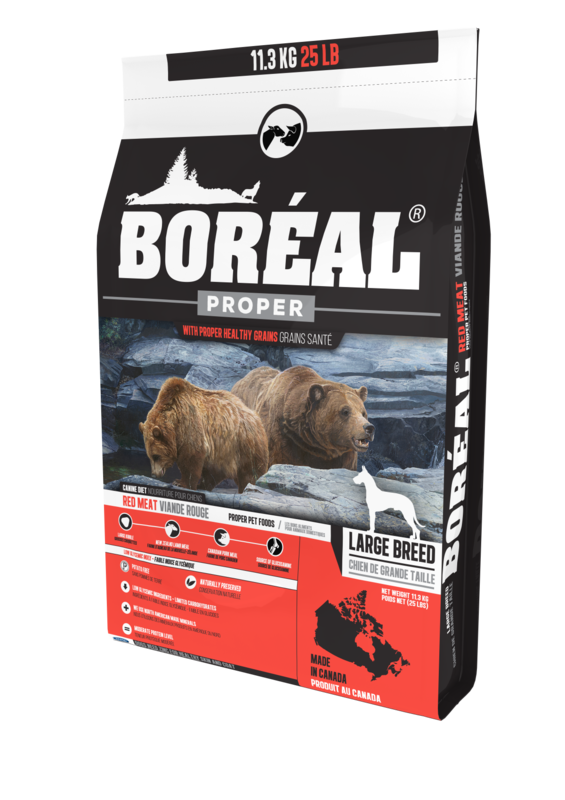 That’s why we at Boréal have developed a line called Boréal proper dog food.